It would be better if you could filter on applet signature hash. 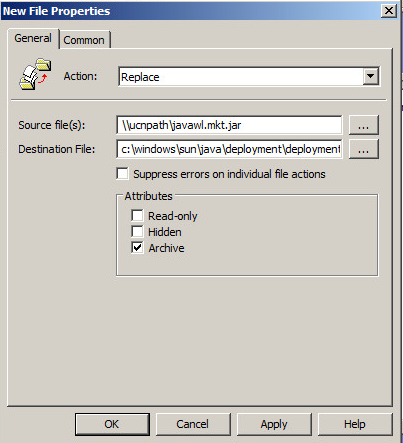 The latter part of your article should have a caveat, that using a GPO to supply per-user Java settings, will only wprl if permissions are relaxed on the Java deployment directory OR if the end-user is running as an administrator. If this is also applied on a multi-user system (e.g.. a terminal services server) then behaviour will be inconsistent, last logon wins. 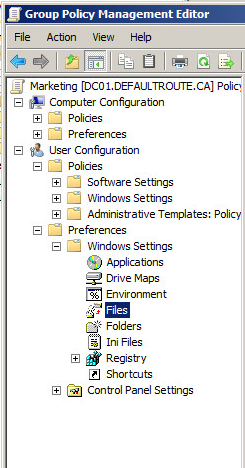 If the end-user is running as an administrator or permissions are relaxed then a creative end-user will be able to work around this restriction. If the typical end-user is an administrator AND you are running outdated Java, then you are at considerable risk. The per-user script will not work without administrator privileges or at least enough privileges to overwrite the file. 1. Build A Shim using the Microsoft Application Compatibility Toolkit (This could allow a per-user file). 2. Stick to a per-computer GPO so that the copy can occur under the system context. This file would then be re-applied at reboot.